Our core values ensure you’re getting the best from the best! How your tea looks and tastes has a lot to do with where it’s from. For example, Japan almost entirely makes green tea, while India produces mostly black tea. Taiwan specializes in oolong while various regions in China grow green, black and oolong tea. Think of The Coffee Bean & Tea Leaf® as your window to the world. Let the invigorating aromas and flavors of our tea evoke the exotic plantations of Sri Lanka, India, Thailandand Kenya, and the lush estates of China, Taiwan and Japan in your heart and mind. You already know that The Coffee Bean & Tea Leaf® serves up some of the most delicious and savory tea drinks around, so it's not surprising that quality is our number one commitment. Our quality starts with the relationships we build with our growers and producers, continues with the processing of our whole leaf teas, and extends to the expert handcrafting of the world-class drinks we serve in our stores. 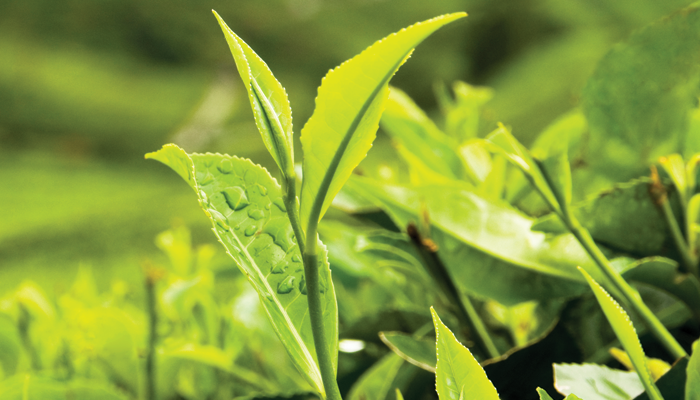 At The Coffee Bean & Tea Leaf®, we process all of our teas using the Orthodox method of manufacturing, which means hand-plucking only the delicate top two leaves and a bud from the tips of each tea plant. This is a very labor-intensive method, exclusively isolating and oxidizing the top quality leaves and buds to produce teas of supreme flavor and character. All three types of tea – Black, Oolang and Green – can be produced using the Orthodox method. 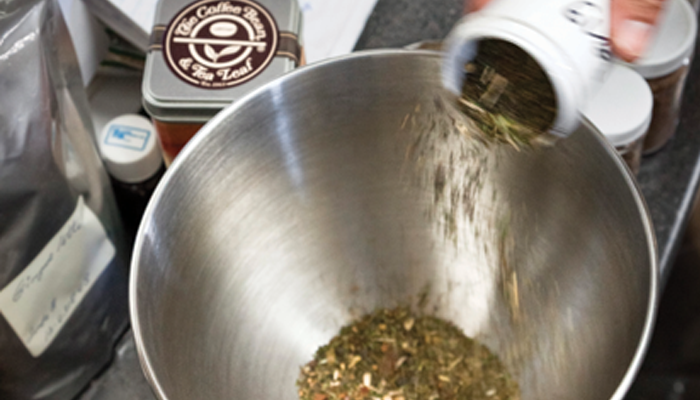 At The Coffee Bean & Tea Leaf®, we consider blending tea to be an art form, with the unique ability to engage all five senses in perfect harmony. Mastering how to combine the specific characteristics of different teas, herbs, spices or botanicals takes exquisite skill and practice. Green, black and oolong teas all have very distinctive flavors and aromas so it’s critical to understand how each will react to the other as we hand-blend them to create adventurous new flavors. 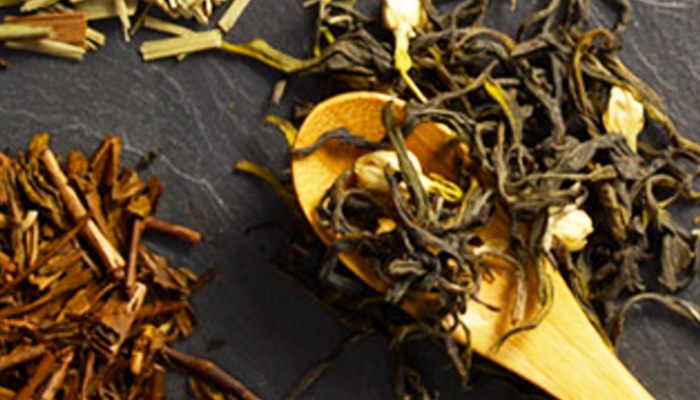 Our exclusive blends are crafted to bring out the singular flavors in each component of our teas. Take Pomegranate Blueberry, one of most beloved blends, as an example. Pomegranate Blueberry combines three high quality teas (Ceylon, Oolong, and Lung Ching), all with distinct color and flavor attributes. Ceylon tea gives the blend the body and color, oolong gives it the floral notes, while the Lung Ching, with its earthy and grassy flavor, counterbalances the other two to perfection.